Now that summer vacation is almost upon us, I thought I would share a few tips about traveling, as many of us save our “trips” for this time of the year. 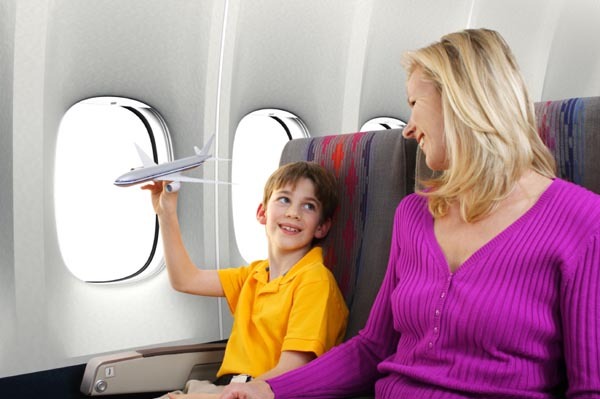 Whether you are traveling by car or by airplane, there are ways to make it easier for both you and your child. Prepare your child for the trip far in advance. In our family, I like to have a schedule of June, July and August so that my son can see when school ends, when vacation begins and when the new school year starts. I note when and where we will be traveling, even if it is a short one-hour trip by car. This provides the structure that many children need. Consider the best times to travel. Before and after holidays, both airways and highways are extremely hectic. You can almost count on airport delays and congested traffic. If you are flying internationally or have to transfer airlines, be sure to give yourself sufficient time to get to a jetway that may be on the opposite end of the airport. Avoid Fridays and Mondays. It is never wise to take the first plane out in the morning or the last plane in at night. Too often I have been marooned in the Philadelphia airport because the last flight isn’t flying to Erie. Pack everything your child will need in a carry-on bag that will clear security. It could be favorite toys, iPADs, coloring books, crayons or favorite foods. When Ryan was thirteen months and we were traveling to Florida, he pushed his step ’n walk lawnmower through many airports. This provided a great distraction to him plus he was happy because he loved doing it. Pack all medications in their original bottles in your carry-on luggage. You will need to follow airport regulations as to liquids. I also have my physician give me a written prescription in case there are any questions about medication. Double check to make sure you have enough medication to cover your entire trip– plus some extra in case it is accidentally dropped. Let the airline company know about any special accommodations you might need, i.e., special meals, seating near the bathrooms. Sitting in the first row of the coach section has always worked well for me because it provides for more leg room. For distance travel, I always purchase cancellation insurance, since you never know months in advance what your child’s situation will be when vacation comes around. It may help to tell the security officer that your child has a special need and may become upset during the screening process. Offer suggestions as to how the officer can make this process go as smoothly as possible. Depending upon the age and ability of your child, you may want to develop a picture or visual schedule of what your child can expect. I have found it helpful to start reviewing the schedule a few weeks in advance so that when the time comes to leave for vacation, he or she knows exactly what will be happening. Social stories can also accomplish the same goal. Sensitivity to loud noises also can be an issue with traveling. Earplugs, headphones, and iTOUCH can help with this problem. I also know in advance where the children’s playroom is located in the airport. For older children, I seek out waiting areas that are not populated. For many of our children, autism is a “hidden” disability which can be misunderstandood by the traveling public. The best advice when facing disgruntled passengers is to remain calm, collected, focus on your child and ignore any judgmental comments. I plan on continuing to research any programs that airlines might have for children with special needs. Please check out www.autisticglobetrotting.com for some additional information. Maureen, Great entry! I am sure this will help many people. You mentioned many things I would never have thought about. Happy summer! Thanks for following my blog. I wanted to share what I learned from past experiences so that others will not make the same mistakes that I did.